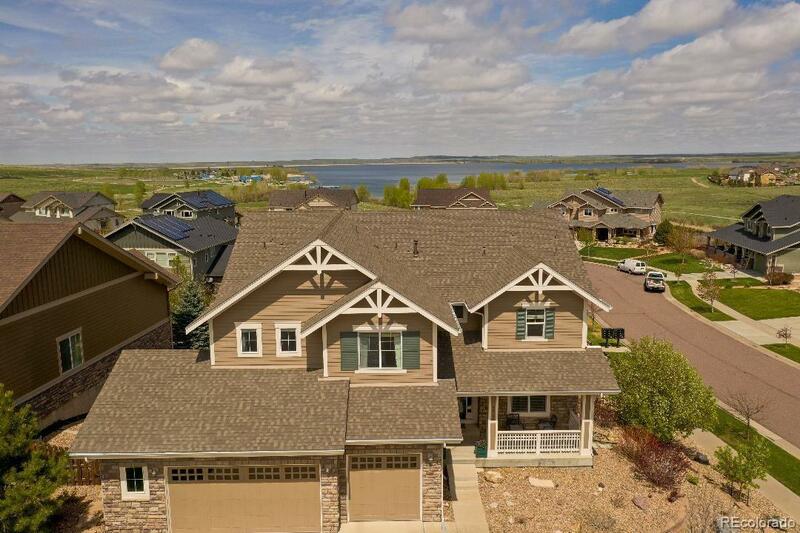 Awesome 2 Story home by Ryland in Beacon Point and within walking distance to Aurora Reservoir. On a .25-acre corner lot, this home offers plenty of amenities. An oversized family room has gas fireplace, built-in entertainment niche and open layout. Formal dining room provides space for entertaining with a bay window while formal living has carpet and custom paint. Awesome gourmet kitchen features Granite countertops included S/S built-in appliances, 42â Maple cabs, and hardwood floors. Breakfast nook includes extended cabinets and work desk. A main level study with French doors make a home-based business no issue. Upstairs are 3 secondary bedrooms including an en-suite, dual access bath, and a great master with 5-piece bath, walk-in closet and more! The master bath has separate shower, soaking tub, dual sinks, and ceramic tile floors. An open basement with over 1675+ square feet gives you room to expand. Dual Climate control! Lastly, a 3 1/2 car garage offers room for your toys.